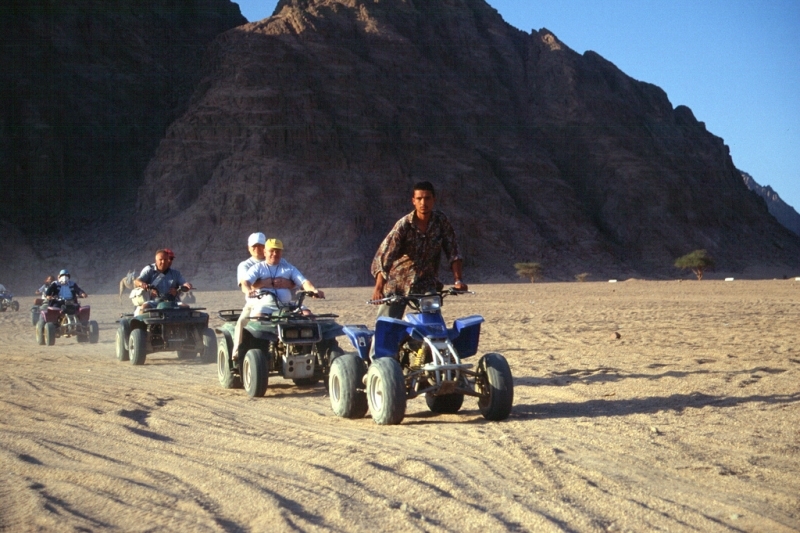 Enjoy a spectacular desert scenery by experiencing a desert safari trip, having a quad biking tour, a camel ride, and enjoy a taste of Bedouin culture in sharm desert. Egypt Travel representative will pick you up from you hotel in Sharm El Sheikh to enjoy four wheeled fun. Drive your quad-bike out in the desert and also take your camel around the desert. That would be a great fabulous desert experience seeing the beauty of the Bedouin life enjoying your dinner with big part, belly dancer show and fire show between the desert mountains of Sinai. Back to hotel and overnight.